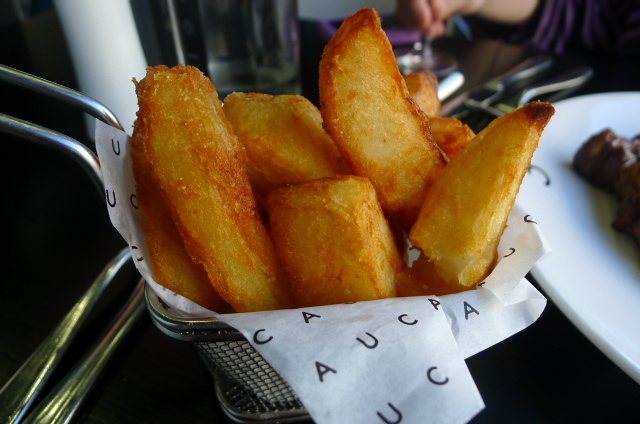 Cau Restaurant is a new chain of Argentinean steakhouses by the people behind Gaucho. Cau (cleverly pronounced as ‘cow’) stands for Carne Argentina Única. The restaurant targets a more regional market, and the first UK branch is in Guildford which I visited. There is also another branch in Amsterdam. The concept behind the Cau restaurant brand is far quirkier and more casual than Gaucho. This is evident in the restaurant’s design with the grass images on the ceilings and the sky blue walls. Waiters and waitresses wear ‘cauboy’ and ‘caugirl’ T-shirts which I thought was particularly fun. This is very much a family type restaurant and the amicable and pleasant service was testimony to this. 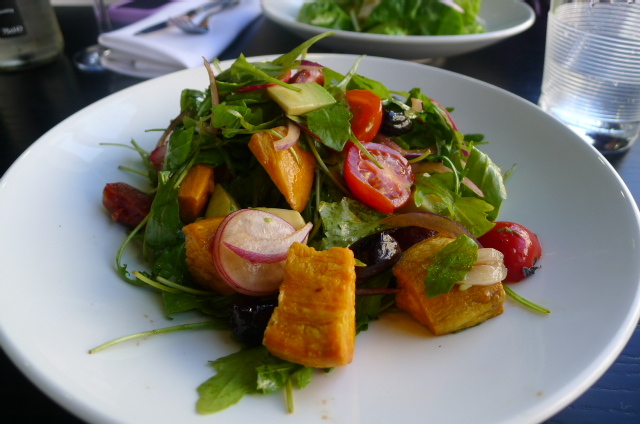 We started with a sweet potato salad with mixed greens and chorizo (£4.95) and a crab salad with baby gem lettuce (£6.50). Both salads lacked for dressing and both contained avocado which hadn’t ripened properly. 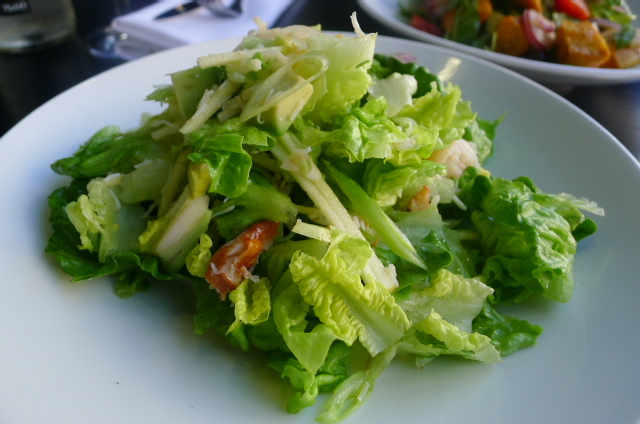 There was far too much lettuce in the latter, and I would have also preferred more crab. We enjoyed the asado de chorizo (£43.95) far more, a 22oz piece of sirloin steak with a churrasco marinade with smoked paprika, chilli flakes, garlic and parsley for two. The meat was of a beautiful quality and boasted lots of flavour, although it was slightly more cooked than the requested medium rare, a touch under seasoned and smaller than I had imaged for 22oz. We chose some triple cooked chips as our accompaniment. The chips were fantastic – crispy on the outside and fluffy on the inside. From the sausage selection, we went for the Argentinean chorizo with Pernod and Sambucca, and lamb and mint. 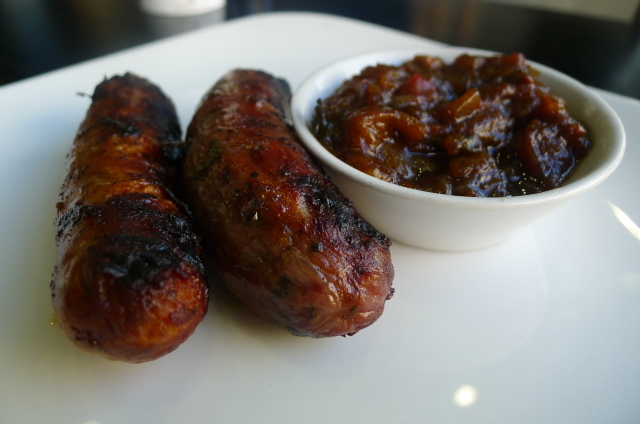 The sausages were lovely and served with a tasty homemade tomato and onion chutney. But I found the pricing of the two small sausages at £6.50 a bit steep. 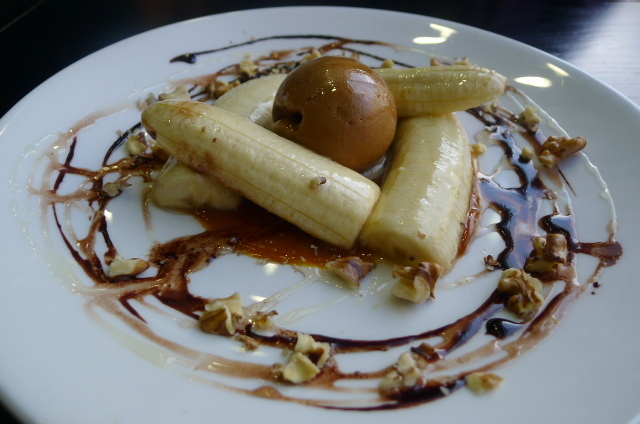 A banana split dessert (£4.50) with freshly caramelised bananas, dulce de leche, chocolate sauce and dulce de leche ice cream was particularly appetising. The dessert had been finished with crunchy walnuts which worked well with sweetness of the dulce de leche. 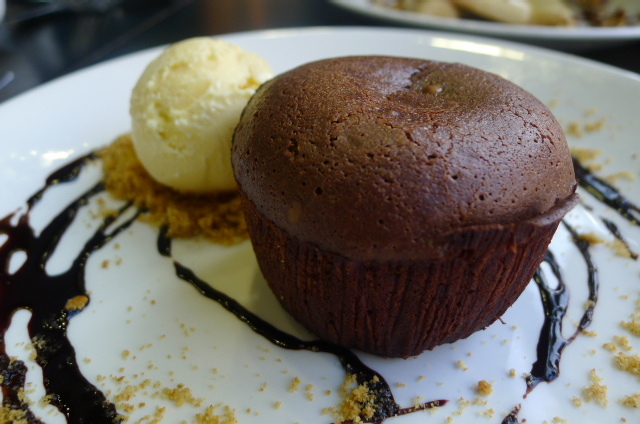 Chocolate fondant (£4.95) with vanilla ice cream was decent but a touch too runny at its core. The quality of the meat is as good as you would expect from the people behind Gaucho. I also enjoyed the desserts but was less impressed with the salads. 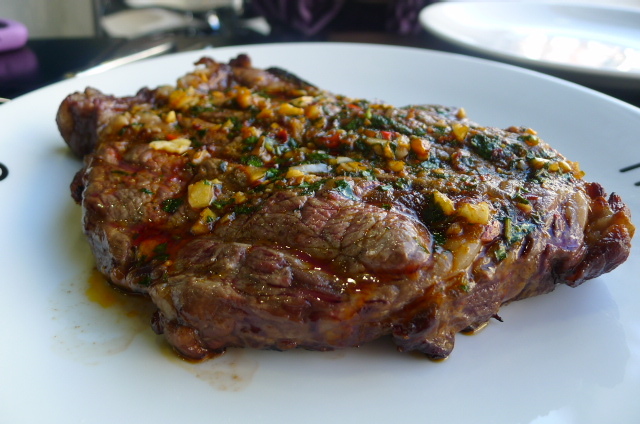 Nevertheless, the Cau formula works to make this an attractive option if you happen to be looking for steak in a casual setting in the Surrey area. Price range: £30 – £45 for three courses. Excludes drinks and service.